Amphenol Procom consists of the former Procom, Jaybeam and Skymasts brands. With manufacturing in Denmark and the UK, Amphenol Procom serves a wide range of markets such as Public Safety, Aviation, Telecom, Hazardous Environments, IOT, Transportation and Industry. 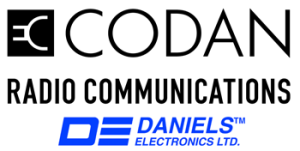 CODAN COMMUNICATIONS Land Mobile Radio (LMR) products provide leading capability in P25 communications, ensuring that no matter the situation, we have a communications solution that meets your needs. We design tough and reliable products with ease of deployment and maintenance in mind. Our range of repeaters, base stations, paging and trunked systems with supporting RF modules and software, are configurable to provide you with the best solution. Komutel Inc, formely known as CVDS Inc, is a design-oriented company specializing in the development of telecommunications software, such as voice recorders, emergency notifications, call handling and reporting & analytics. GLOBAL COMMUNICATIONS TECHNOLOGIES is a manufacture or interoperability equipment with their patented Adaptive Transmit Delay feature. DATALINK offers complete hardware and software ALV and messaging solutions for your LMR and M2M fleet. DAVICOM intelligent SNMP Monitoring systems allow remote monitoring and control of transmitter sites thereby reducing operating costs and downtime. Immediate access to real-time site information, like transmitter/two way radio status, RF power, antenna VSWR, audio/video levels, mains power presence, temperature, tower lighting, fire alarm and building security status can be just a mouse click away. JVCKENWOOD USA Corp is a market leader in digital and analog two-way radios and custom systems for public safety, utilities, the hospitality industry and every business and government user requiring military-spec quality products and the latest features at a cost-effective price. In wide use across the world, Kenwood NEXEDGE radios are at the forefront of feature-driven design and performance, offering 20% improvements in coverage, IP readiness and GPS capabilities. Kenwood also has a complete line of tough, IS rated analog radios for commercial use and economically priced business radios for on-site communications. Turn to Kenwood’s engineering and design team for your custom private network system. KW RADIO RENTALS is dedicated to the enterprise of renting the latest Kenwood two-way radios throughout the United States. Our mission is to supply authorized Kenwood radio dealers with rental radios for any kind of rental opportunity. We want the dealer to own the customer and allow KWRR to supply the rental equipment when you need it. Whether you need 5, 25, or 500 radios for a week or for a month, consider KWRR as your best resource for radio rentals. KWRR is your new Rental Department. LEATHERSMITH gives you the highest quality cases at the lowest possible prices. You gain the price advantage, but won't sacrifice quality and service. You expect the best from LEATHERSMITH and you get it! 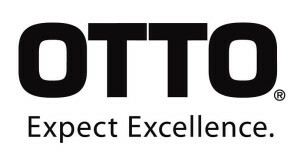 OTTO COMMUNICATIONS audio accessories are designed for use by public safety, security, surveillance, emergency medical teams, SWAT, fire fighters, HAZMAT and other law enforcement professionals along with food service, hospitality, entertainment, construction and industrial markets. OTTO Communications supports a wide range of radio platforms providing accessories for most major two-way radios. PYRAMID COMMUNICATIONS is the leading manufacturer of vehicular repeaters in America. Pyramid’s in-house team of highly trained engineers and technicians also develop and maintain Digital Mobile Data Terminals (MDT), Vehicle Tracking Systems (AVL), and Street Level Mapping Software. 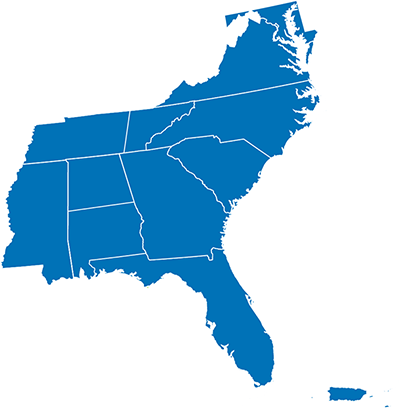 All of Pyramid’s high quality products are developed and manufactured in the USA. RAVEN ELECTRONICS is an engineering factory focused on public safety, military, and commercial communications-your "idea shop" committed to solving engineering problems and exceeding expectations. Raven Electronics has the products and expertise to create any solution for public safety, military, and commercial communications. TELEX RADIO DISPATCH is the leading manufacturer of IP control for two-way radio communications and dispatch console solutions. Based on a distributive architecture, Telex dispatch console systems have flexibility, scalability, and redundant capability based on the network. TIMES MICROWAVE manufacturer of coaxial cables add low pim test cables, Times Protect lightning arrestors and Smart Panel grounding solutions. NC, SC, MD, DC and VA only. TX-RX is the leader in providing RF Conditioning products in the Land Mobile Radio market, aided by breakthrough inventions in T-Pass® Transmit Combiner, Auto-Backup® Tower Top Amplifier, base station antennas, and etc. Over the years, TX RX’s RF Infrastructure Products have played a critical part in improving and optimizing numerous mission critical radio networks for both Public Safety and general two-way radio users. The name “TX RX” has become the gold standard in the industry for high performance and high quality in both products and services. VIAVI offers a wide selection of LMR test sets addressing both subscriber and systems test applications. The most advanced Radio Test Sets currently used in engineering, production, support and service applications world-wide. Our Radio Test Sets test a wide range of technologies, including analog, digital, P25, NXDN TETRA, DMR and dPMR.